I think you all must have been very busy with Labor Day activities this past Monday — we didn’t have any gross motor activities shared on our Facebook page last week! I hope that your day with family included some whole body movement! Our family went hiking through the woods to two of our favorite waterfalls! It’s so nice to have such beautiful places to visit that are less than 5 miles from our house. I posted a picture of my family at one of the falls on Instagram this week. If you don’t follow us there yet, be sure to add us to your list! We are @insptreehouse. 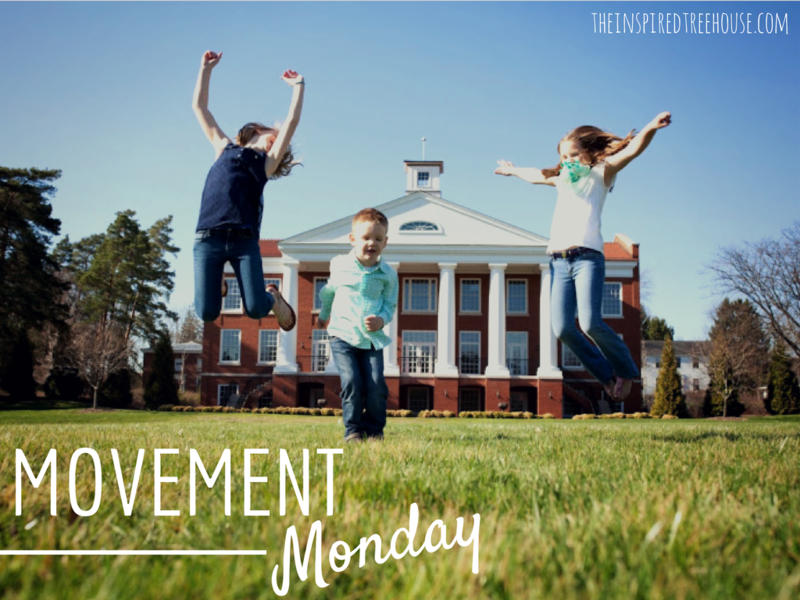 Since we didn’t see any gross motor activities out there this week for Movement Monday, we decided to round up a few of our own gross motor activities to get you in the mood for the impending cooler weather. We hope you’ll give them a try and let us know how they go with your kiddos! 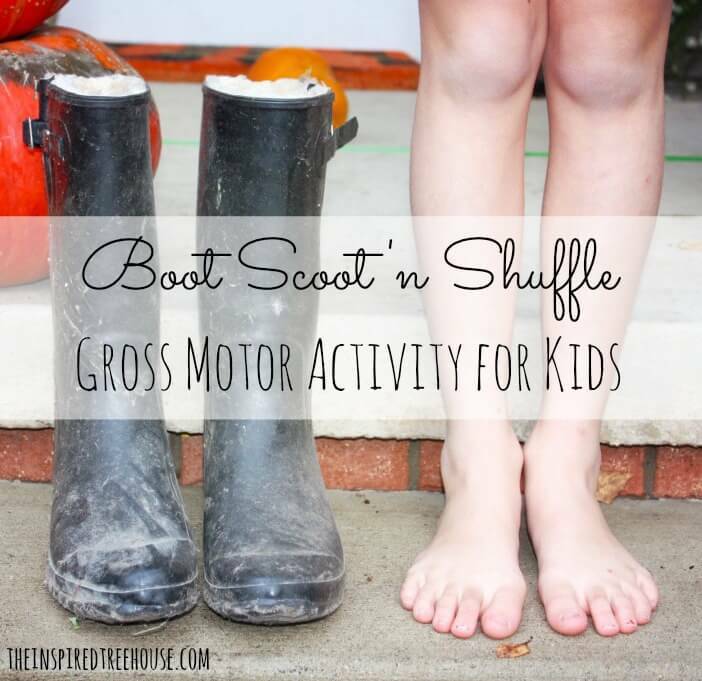 The BOOT SCOOT N SHUFFLE is a super fun activity and a great way to give your kiddos a hefty dose of strength and balance. All you need is a pair of BIG boots and your kiddo. Check out what we did! 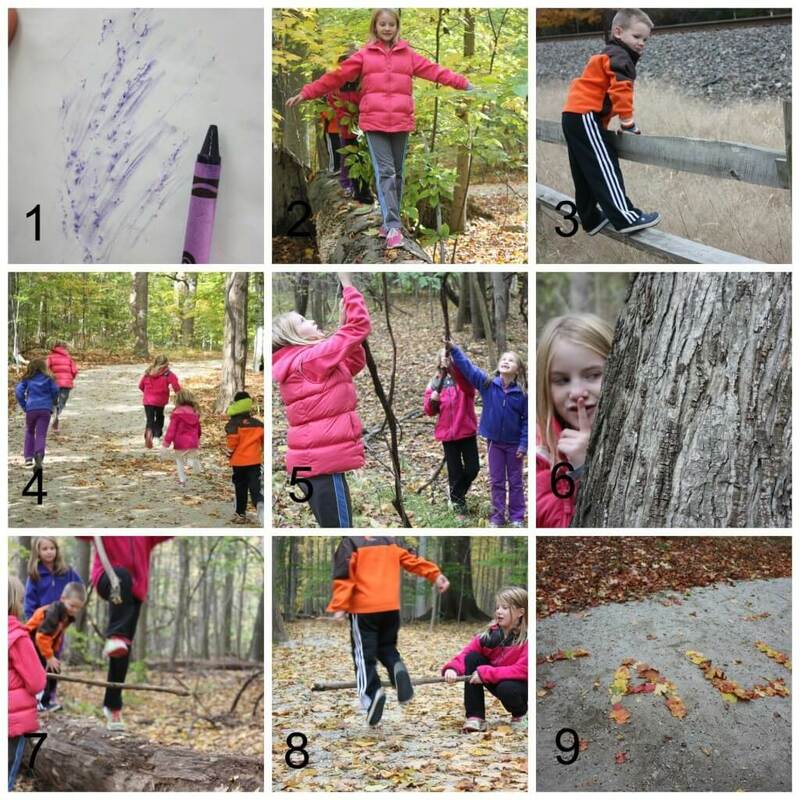 Check out our Fall Focus on Freeplay — 9 Fun Motor Activities to do on a Fall Hike! It is such a beautiful time of year to go walking outside and to experience all of the different sensory experiences that fall brings — cool air on your skin, crunching leaves under your feet, the smell of fires burning. And finally, grab those mini pumpkins and head outside for a Mini Pumpkin Toss Up. 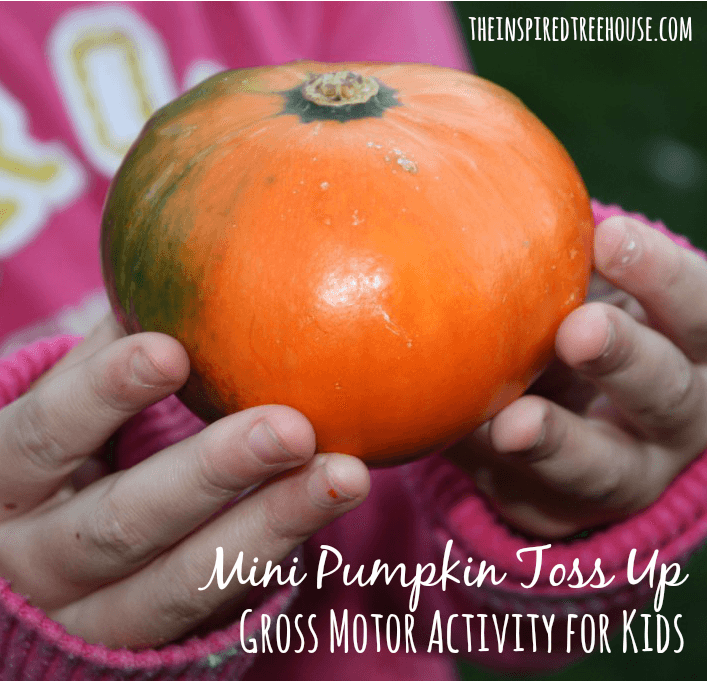 Head on over to this post to see how we developed hand eye coordination and progressed from one pumpkin to tossing up even more at once! A lot more fun than a ball in the fall!! We hope that these activities get you in the mood for fall and that they inspire you to create your own whole body movement activities with your kiddos to keep them active and healthy! Don’t forget to share them on our Facebook wall today!!!! 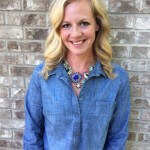 Looking for more great posts from The Inspired Treehouse? Try these!